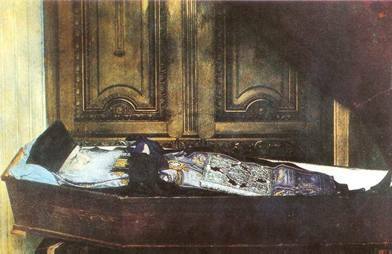 When we think of saints, we often think of people who lived centuries ago. St. Nektarios, on the contrary, lived and died in the earlier part of the twentieth century. Born in Selyvria, Thrace (part of present day Turkey), in October of 1846 as Anastasios Kephalas, Nektarios (his ordained name) began working and studying in Constantinople at age 14. Six years later he traveled to the island of Chios and entered a monastery. From there, he went to serve under Patriarch Sophronios, of Alexandria, Egypt. Patriarch Sophronios liked Nektarios very much and sent him to study theology at the University of Athens, Greece. After he finished his studies, the patriarch appointed him priest and preacher in Cairo, Egypt. 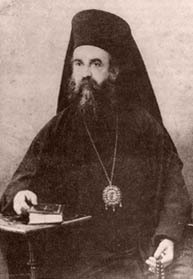 Soon thereafter, Nektarios was ordained Bishop and assigned in Cairo. It seemed as though Bishop Nektarios had one success after another, but people do not become Saints without difficulty and many thorns. So it was with Bishop Nektarios. Some people who disliked him and were jealous of his success made up lies about the good bishop. Patriarch Sophronios was swayed and took everything away from Nektarios. Nektarios returned to Athens where he was invited to preach at different churches. In Athens his great wisdom was realized and he became Dean of a theological school there in 1894. Bishop Nektarios’ spiritual callings were perhaps more fulfilled when he started a convent for nuns on a small island not too far from the seaport of Piraeus, Greece. On Aegina, Bishop Nektarios founded the Convent of the Holy Trinity. It was here at his convent that Nektarios would make his greatest contributions to the Orthodox Church. 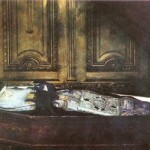 In 1910 Nektarios retired to the Convent of the Holy Trinity to spend his last years. People flocked to Aegina to worship with the bishop, to listen to his sermons, and to be healed from different illnesses. 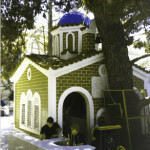 St. Nektarios died on November 9, 1920 and was buried in a special chapel which he had built. People continued to flock to the Convent of the Holy Trinity, to pay their respects at the Shrine of St. Nektarios. Miracles continue to take place at his grave site year after year. Eventually, the Patriarchate of Constantinople proclaimed Nektarios a Saint in 1961. St. Nektarios is considered the Patron Saint for people who have cancer, heart trouble, arthritis, epilepsy and other sicknesses. 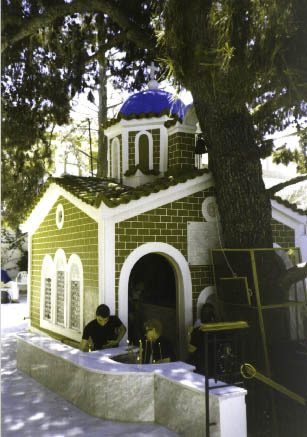 Visitors to this shrine leave filled with the love and peace that St. Nektarios gave to all when he lived. St. Nektarios is a true icon of Christian love and patience. We are all called to love all people and to encourage them. As people of faith, we offer prayers as a means of help for all. St. Nektarios encouraged others by being with them at difficult times. He prayed to God to give them peace and courage to face their problems. We take him as our example. St. Nektarios is honored and remembered annually on November 9.